Open 7 days a week, there’s always something ripe and ready to eat. 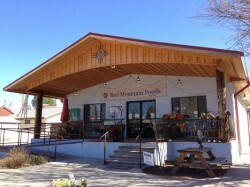 If it’s fresh produce and natural foods you seek, Red Mountain Foods will meet your craving. 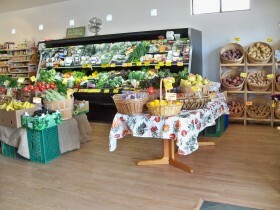 This friendly grocery store has been a Patagonia institution since 1981, and supplies the community with a full line of quality produce–much of it organic–as well as organic dairy products, meat, fish, dried fruits and nuts, pantry staples, vitamins, household goods, and natural body care products. Red Mountain also carries local grass-fed beef from the San Rafael Valley.